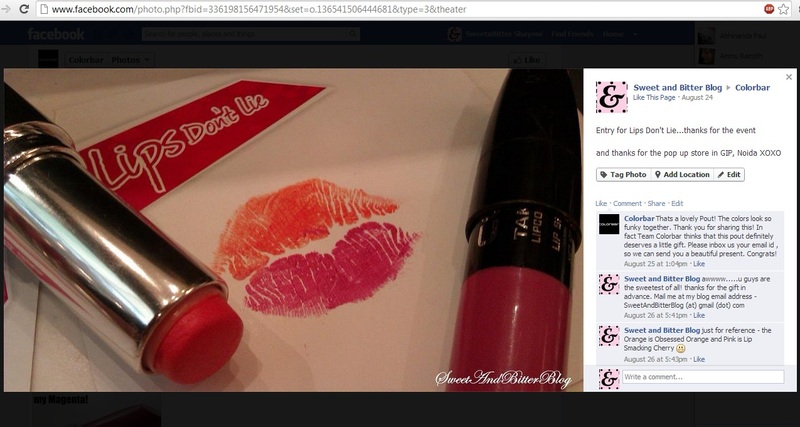 Last year in August, Colorbar did a 'Lips Don't Lie' Contest. You have to try any lipstick from the store and kiss on a paper. Luckily, I was in Delhi at that time and Colorbar being my favorite Indian Makeup Brand, I went to their Saket stand alone store. I thought whats the harm in trying? I used Obsessed Orange and Lip Smacking Cherry. And as a obedient blogger, clicked a picture *wink*. So, by October they send the gloss (I was late in sending them address) and there was just a envelop - No gloss in it! Some issue with courier. The same reason I am against DTDC. I mailed them back and they send me by BlueDart and this time they send me TWO. Thanks you Colorbar. Fresh Pink is very sheer and Coral Craving is comparatively opaque. Both have a tendency to settle on lines but they are not much obvious. I am not a lip gloss person so, have not much love for them. They do not strain lips and have normal staying power of gloss which is a hour or two max on my lips. The best this is they do not have any shimmers. So, nothing stays behind when they wipe out. I hate when the shimmery glosses leave behind the shimmers after they are gone making my lips look like disco lights! I like de coral carving.. :)..... and pink is sheer! Congo on winning... both the shades suits you very well :) I hold nectar orange from this range !! Gloss? No way! 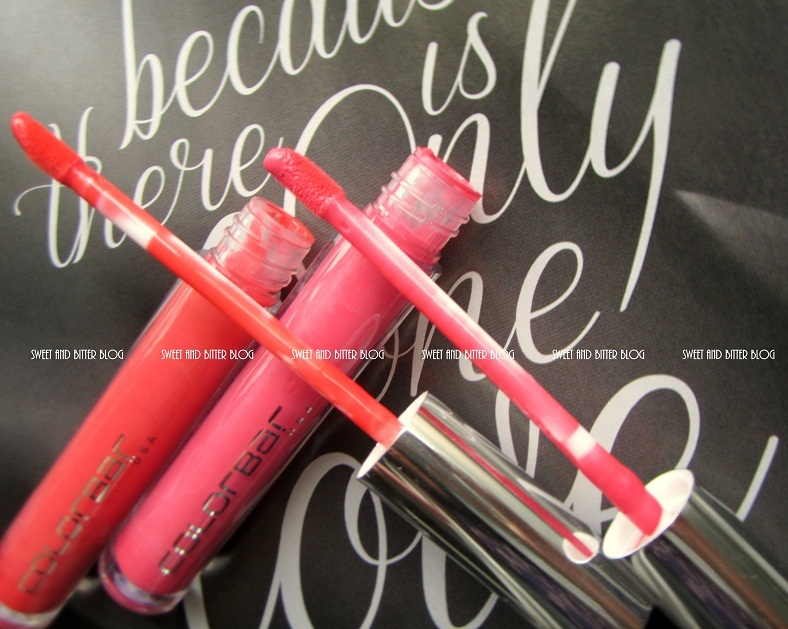 Colorbar true gloss is an insanely pigmented liquid lip color! I hv orang nectar n bitten red n both stay on my pigmented lips for close to 8 hrs!! They r nothing like a gloss! !